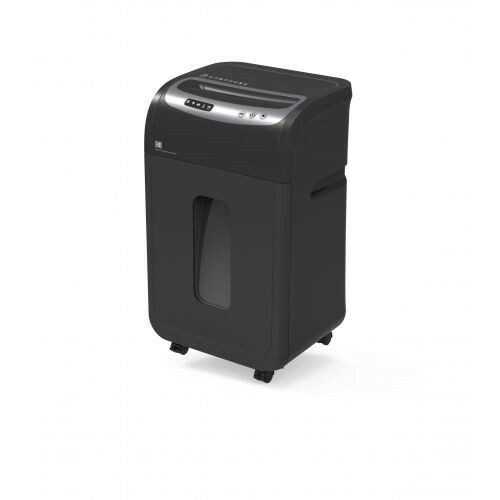 Ofitech OS2502Ci Paper Shredder Capacity 25 sheets (70 gsm), Credit Card, Stapler Pin Yes. Cutting Type Cross cut. Cutting Size 4 × 38 mm (0.19” × 1.49”). Bin Capacity Pull out basket. Duty Cycle 20 min ON/60 min OFF. Indicators Power/Shredding/Jam/Door/Open/Overheat/Bin full. Dimension (H × W × D) 360 × 286 × 602 (mm) Weight 19.5 kg.